It’s been a while since I last blogged and a long time since I blogged on a regular basis; so I’m hoping to get back into the swing of blogging more regularly now that I have a lovely new office/craft room set up. More on the working space redesign in a later blog post; for now I want to talk arty crafty. Just lately I’ve taken up crochet and I’m really enjoying it. It turned out to be a lot easier than I had originally anticipated and I’ve already made a number of items from scarves to crochet flowers and the beginnings of a granny circle blanket, though I do find following patterns a bit challenging still. I’ve mastered the basic stitches and played around with some special stitches all of which has been great fun. I bought myself quite a few good books for learning to crochet, learning different stitches and some lovely patterns and designs to try out. I also used some of the great videos from crafters on YouTube and have pinned many, many great crochet designs from Pinterest, all of which you can find on my Arty Crafty pinterest board. As a left handed person from the UK (US terms for many basic stitches are different to the UK versions) it was a bit more difficult to find good books and instructions on how to learn crochet, follow patterns, complete certain stitches, but there are a lot of good resources out there if you look. The book I found most useful in helping me to get to grip with the basics of crocheting UK style was Crochet Unravelled: A Clear and Concise Guide to Learning Crochet which you can buy on Amazon for just £6.29. I highly recommend this book, it had instructions for both left and right handed people and explained the basics very well and is an excellent starting point at a reasonable price. Back to my crocheting, below are a few of my creations so far, some are completed, others are still a work in progress, but as I’m having so much fun with the crochet, it is hard to focus on just one project at a time. 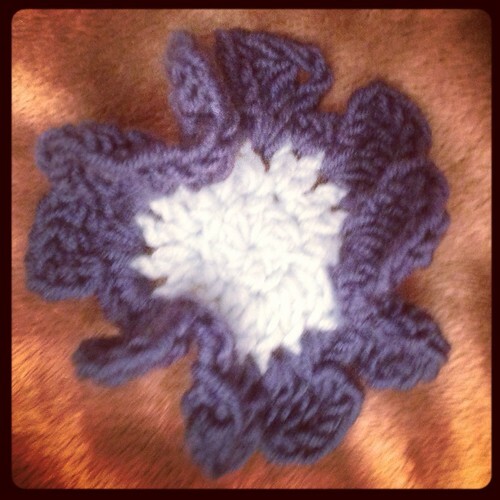 To see all my crocheting projects check out my Wealie’s Crafts pinterest board. 2. 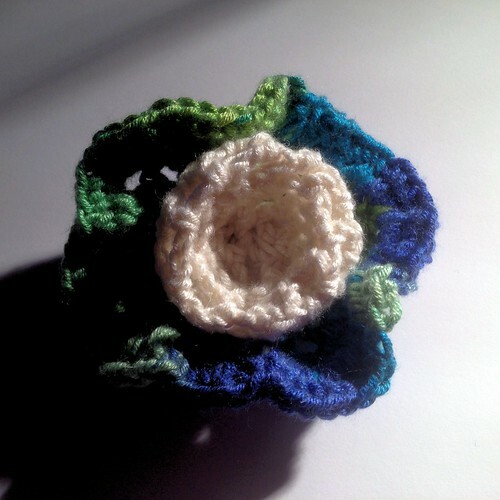 Flower motif – I made this motif using a multi coloured bamboo viscose yarn and it will be going on a scarf that I’ve made out of the same bluey-green yarn, but have not yet had a chance to block , so for now it’s just the flower to see. 3. 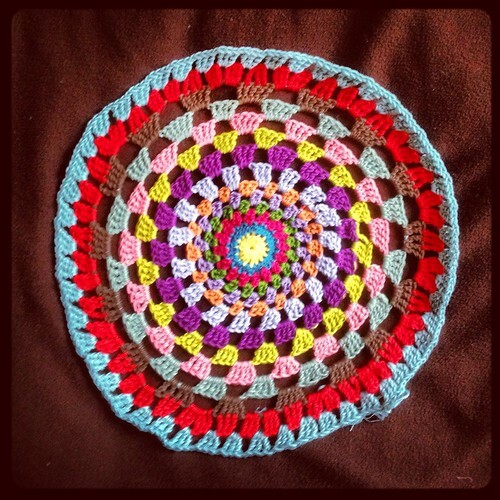 Granny Circle Blanket – A work in progress as it is more of a dinner plate size at the moment. I’m enjoying working with the bright and colourful cottons on this project, but envisage that this may take some time to complete. 4. 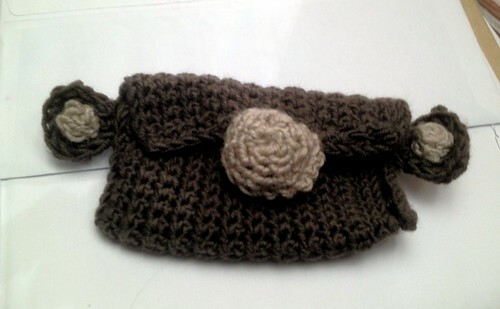 Crochet Baby Hat – This was my first proper item that I created from following a pattern, which I’m still finding a little bit challenging; so I was very proud when I completed this and the fact that it did in fact look like a hat at the end of the process. 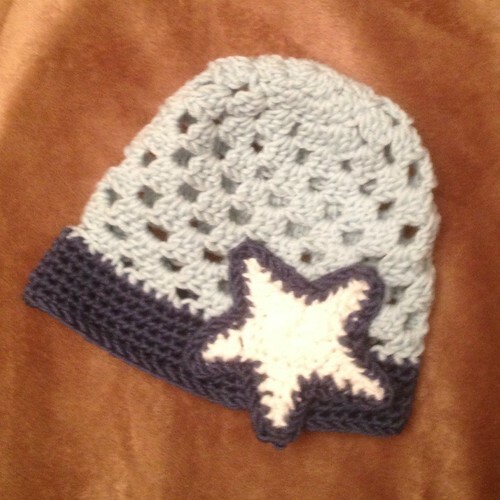 I used a pattern in the UK magazine Craftseller, but changed the motif from a flower to a star and changed the colours to blues so that it would be more boyish for my new nephew Jack, who unfortunately had grown out of it before he got it :-S It was a great project to work on though and I was very pleased with the end result. 5. 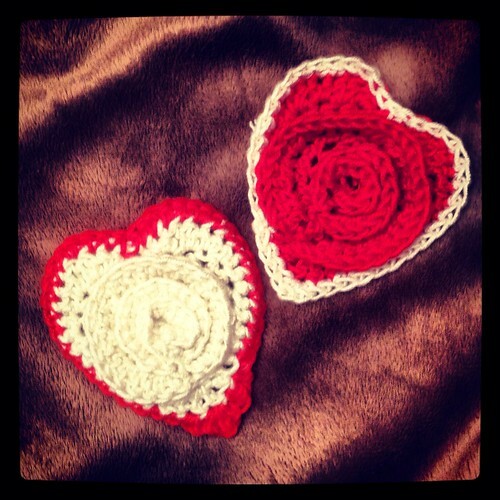 Crochet heart flowers - I found this pattern on the wonderful pinterest and decided to have a go. Took me a little while to get the hang of crocheting in the different loops on the same row, but once I got into the flow it was quite an enjoyable process and I’m hoping to maybe use this design to make some kind of cushion cover or blanket. 6. 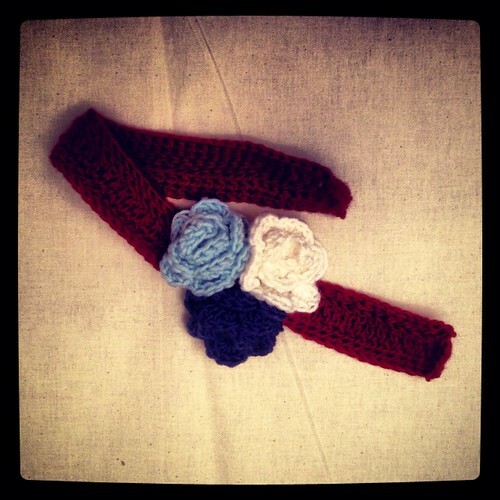 Crochet pansy – Making up my own patterns here for flowers was an interesting experiment that turned out quite well. I might add a bit of black as stamen detail and yellow pollen stain at the centre to make it look more realistic though. 8. 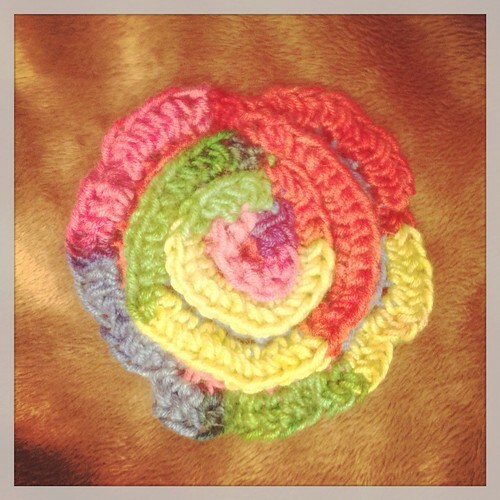 Rainbow crochet flower - One of the first crochet flowers that I created using a lovely rainbow bamboo viscose yarn. Haven’t decided what to do with this one. I might make it into a brooch or headband at some point. 9. 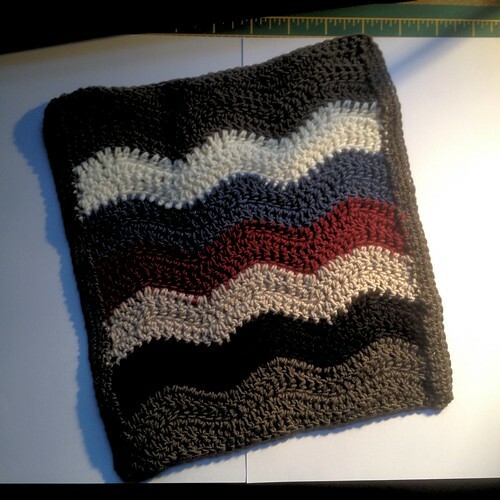 Experimenting with Chevrons – I’ve mastered chevrons in crochet, what I found most difficult was keeping the number of my stitches even; on my first attempt the number of stitches per row, increased and decreased alarmingly! This swatch is a bit too small to be a cushion, but I thought I might be able to work it into a hot water bottle cover or maybe a handbag design. Yay I can do chevrons! This entry was posted in Crochet, My Art and tagged art, arts and crafts, artsandcrafts, crafting, crafts, craftwork, crochet, crocheting, home made, homecraft, homemade, I made this, imadethis, needlework, ruth weal, ruthweal, wealie, yarncraft. Bookmark the permalink. As a left handed person .myself I I am glad that you found good instructions.